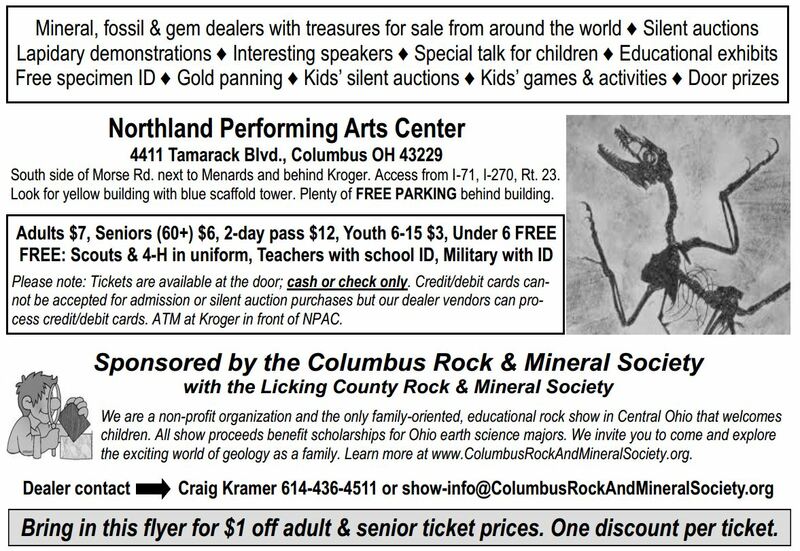 Hello and thank you for visiting the Columbus Rock and Mineral Society website. As President, I would like to express my joy in participating in such an active club. 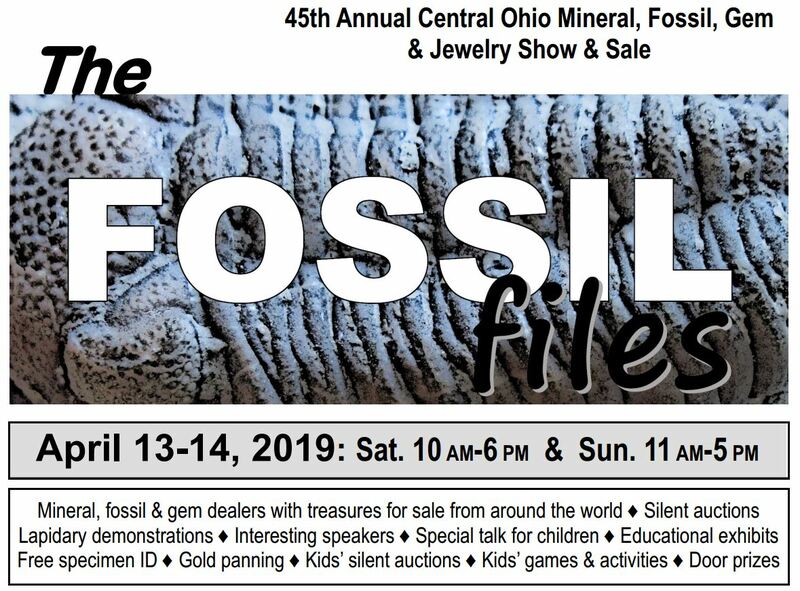 Each year we put on a wonderful Rock, Gem and Jewelry show. Our 2018 show was a great success at the Northland Performing Arts Center, as so many dedicated members and volunteers worked very hard to bring it all together. With the change of weather, soon many of us will be packing up our tool bags and heading out into the field with the hopes of finding that one (and hopefully more than one) special specimen. It's never too early to start thinking about collecting safety. Proper tools, the right training and a keen eye will help ensure a fun and prosperous collecting season. If you enjoy Rocks, Fossils and Minerals as much as we do, then I encourage you to join us for a club meeting to see what we are all about. Our club has a diverse membership of professionals, laymen and general rock-hounds all coming together to enjoy different aspects of geology and associated sciences. Minerals, fossils, native artifacts, paleontology, lapidary; all are represented. 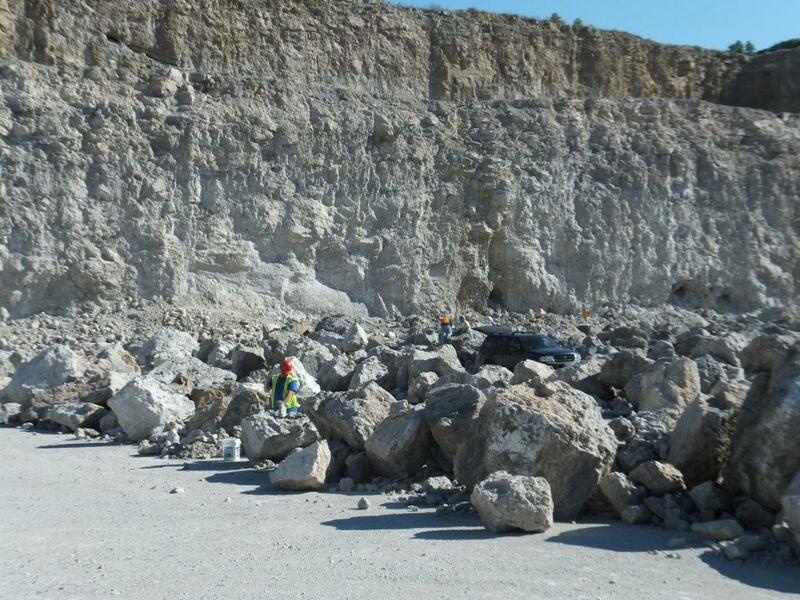 Long time members of the club have the expertise to help identify specimens, teach stone faceting or share a story about quarry trips locally and abroad. WHAT: Monthly meetings include a knowledgeable speaker on a topic for the evening, plenty of good snacks, a chance to win a door prize and lots of lively conversation. Visitors are welcome to come and hear a speaker or just drop in to talk with us. WHERE: Location - Columbus Menonite Church, 35 Oakland Park Avenue, Columbus, OH 43214. 7:00 PM (see map below). WHEN: The third Tuesday of the month from September through May. Annual dues include monthly meetings, a subscription to the club newsletter The Glacial Groove, the annual club directory of members, club library, and a listing of club field trips. Members also help to plan, organize and volunteer as part of the yearly club show each spring.